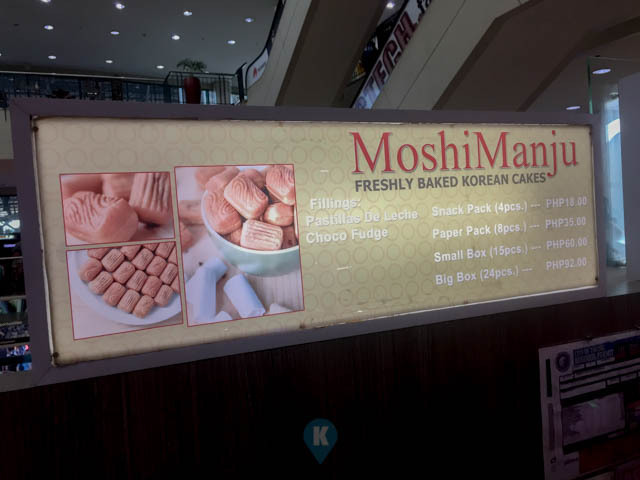 Although the concept is korean, I was wondering why the fillings were filipino inspired. We see here that one of the fillings is Pastillas de Leche and the other one is Choco Fudge. Anyway, both tasted great and is a good eat in between meals. Better yet, its a good dessert even. Priced reasonably low, Php18 for a snack pack of 8 pcs, not bad for a cheap but good culinary treat. They have an automated operation and they only had 2 people at their kiosk. One handling the cashiering and the other the cooking. 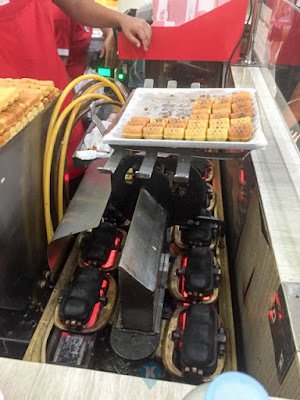 While eating their sumptuous snack, I noticed that they switch roles after a few minutes, and they said they do so because of their machine being very hot. I inched closer to the machine to take a shot, and yes true the machine was very hot. The automated machine is also great to look at while eating. 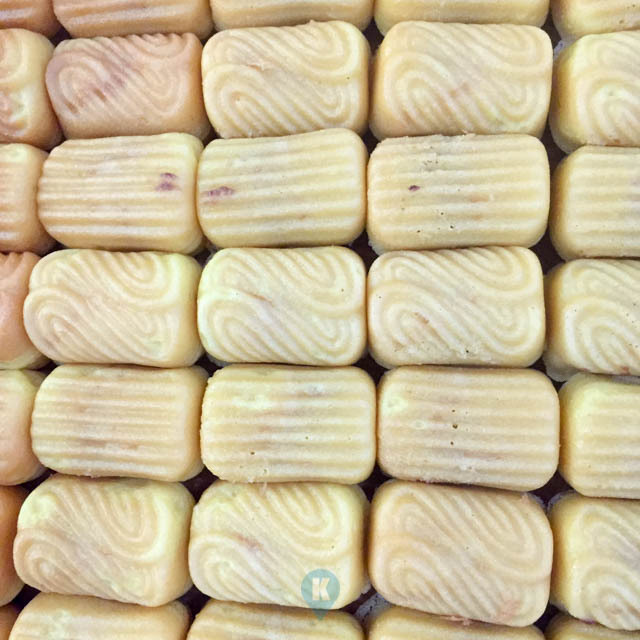 It shoots cake and filling mixture into the molds and the operator will just simply take out the cooked cakes in the end. What a great machine this is. 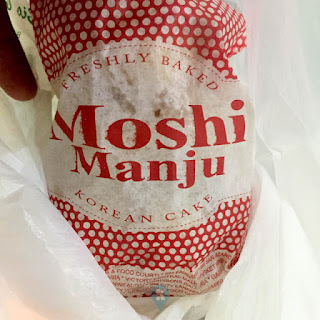 Nevertheless, the korean cakes they serve are tasty, yummy, great even, and the price is so affordable. Although they cook all the time, when you buy them, they will get the ones fresh from the mold, so you are eating piping hot korean cakes. 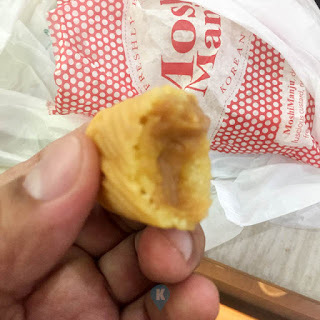 If you happen to be in Market Market in Taguig, I suggest to dropby their kiosk and order some for your trip home. 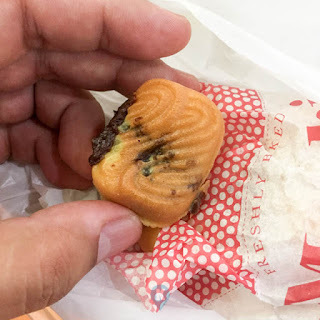 The design will tell you if its Choco Fudge or the Pastillas de Leche you're getting. 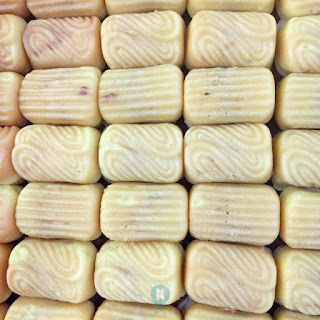 Pastillas de Leche filled cake.